This is a story I had read about in different books over the years, but always in snippets. I never quite knew the whole story and now thanks to the publication of Adelaide Herrmann's Memoirs, I've got more information. But I'm also going back to other sources to pull out the various discussions of the event because other historical figures get involved. 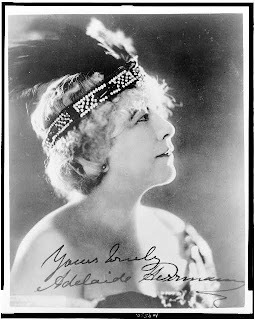 Adelaide Herrmann was the widow of Alexander Herrmann, known as Herrmann The Great. After Alexander died in their traincar in December of 1896, Adelaide decided to take a version of their show out. She chose Alexander's nephew Leon to fill the male role and she sent for him in Europe. They toured together for three seasons until personality clashes caused them to part ways. 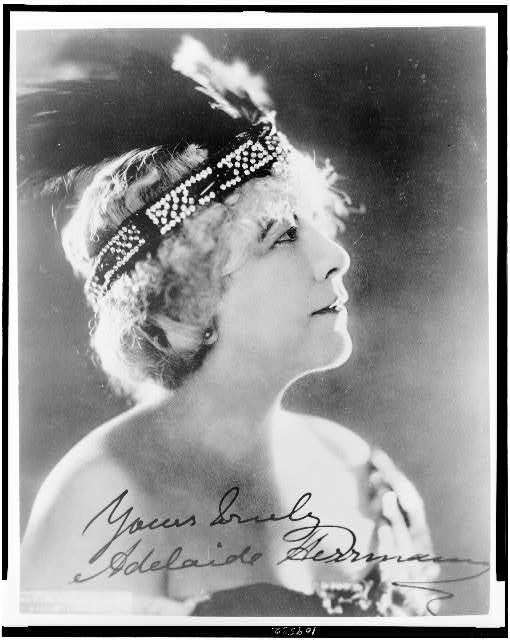 Adelaide had inherited all of the properties from the original Herrmann the Great show and these were stored in a warehouse near 37th St in New York City. However, Mrs. Herrmann had been notified that the warehouse building that held all her equipment was due to be demolished and she would need to find a new location. 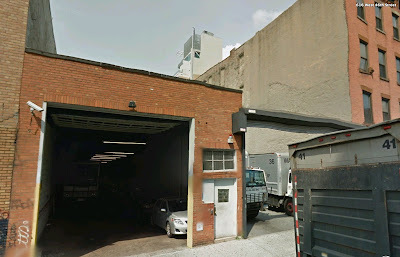 The new warehouse was at 611 46th Street NYC. Along with all the props, costumes, scenery, and illusions were also all of Adelaide's animals that she used during her 'Noah's Ark' routine. On the morning of September 7th, 1926, an explosion occurred at the warehouse and the building was engulfed in flames. All 200 animals perished in the fire, along with an animal trainer and the majority of the Herrmann props. Apparently, one crate remained unharmed but was later broken into by thieves so nothing remained of the Herrmann legacy. What caused the fire? The New York Times reported that an alcohol still, or several stills, hidden on the roof of the warehouse had exploded causing the fire. It would seem that Adelaide Herrmann's show business career was over. However, a number of professional performers came to her aid. Among them was the President of the Society of American Magicians, Harry Houdini, who donated a Noah's Ark Illusion to replace the one that had been destroyed by fire. Harry Blackstone Sr. also helped Mrs. Herrmann by donating equipment. She quickly put together a new act and was up and running by October 1926. Though the majority of the props owned and used by the Herrmann's had been destroyed in the Sept 7th warehouse fire, some props still remain today in private collections. Among the props that still exist are a Pistol used by Alexander Herrmann to vanish rings and a pair of Rapping Hands, both in the collection of Ray Goulet. Also Ken Klosterman has a center table that belonged to Herrmann, and the magic wand that used by Alexander Herrmann, which once was owned by Houdini, is now in the Copperfield collection. There may be other props scattered among collectors but those are a few I'm aware of. Below is a photo of the location of the 611 46th Street warehouse. You'll see today it still remains a shell of it's former self. 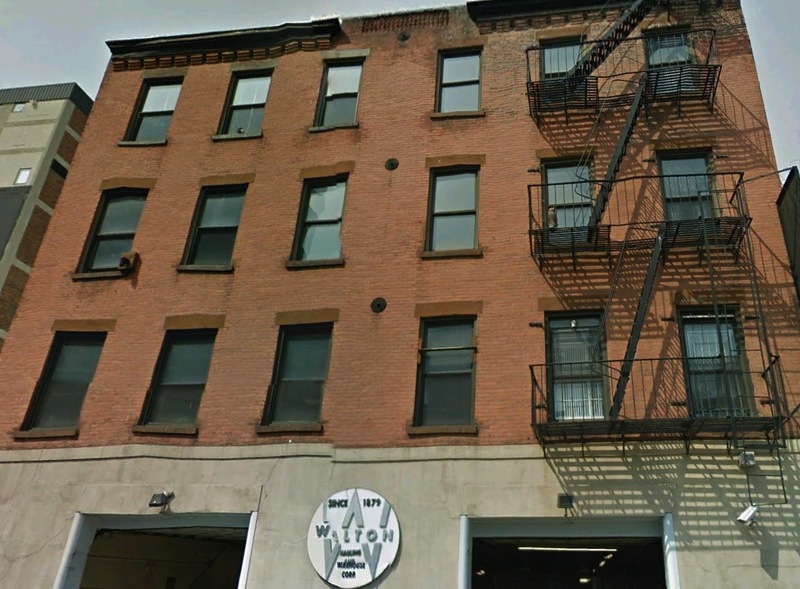 However, at the top of the page is a photo of 609 46th Street, a warehouse that has been there since 1879 and this is very likely exactly what Adelaide Herrmann's warehouse once looked like. One other note, this location is walking distance from the pier where the USS Intrepid is docked and also where one of the NASA Space Shuttles now sits on display. Not sure I've ever heard about Houdini suppling Adelaide a new Noah's Ark. Very cool. Houdini offered Adelaide a Noah's Ark illusion, but since she'd lost all her trained performing animals it was a well-meaning but somewhat insensitive gesture. Adelaide never performed Noah's Ark again. It took her a while to regroup and put together a new, simpler act, called "Magic, Grace and Music." While she picked up the pieces and hit the road again (at age 73 and against the advice of her friends) she was never quite the same again after the 1926 fire.